23 players have been short-listed for the award, but only one man can take the accolade. 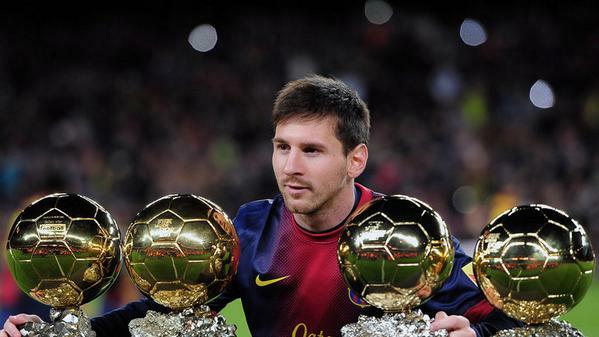 Here our the 2014 FIFA Ballon d'Or nominees. Many people have severely criticised the type of players shortlisted of this award, and I can definitely see why. It should be considered unfair that someone like Yaya Toure, with all due respect who has been mildly out of form, this season and a player like Luis Suarez, possibly the best player in England at Liverpool hasn't. It's nothing but an absolute travesty, and you can make the claim that Suarez bit Chiellini and didn't deserve to be nominated but I'm still making a case for the Uruguayan He was EXCEPTIONAL last season, scoring a whopping 31 goals in 33 just games played under manager Brendan Rodgers. Not all with agree on this one, but I'd have liked to see Manchester United's goalkeeper David De Gea nominated for the award. He saved his team absolutely tons of goals playing in-between the sticks. The Spaniard was voted United's best player last season along with Player of the Months awards. He may not have gone on to win the Ballon d'Or, but he definitely deserved a chance. Apart from those two, I'm quite okay with the rest of the nominees. Good luck to them! Who do you think should have been nominated, and who shouldn't? The comment box is below, so share your thoughts! 23 players have been short-listed for the award, but only one man can take the accolade. Here our the nominees and our analysis and reaction.